Are you ready for a car, truck or SUV that meets and exceeds your expectations in quality, dependability and long-term value? You’ve come to the right place. 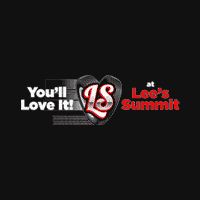 Lee's Summit Dodge Chrysler Jeep Ram is Lee’s Summit’s #1 car dealership, because of its unparalleled customer service and long-lasting vehicles. Whether you are looking for a new car, truck or SUV on our lot, or you are wanting a certified, pre-owned vehicle that you know you can trust, we will find something perfect for you. Check out our pre-owned vehicles under $10,000 or see our new Chrysler, Dodge, Jeep, Ram choices. If you have a specific car you’d like to find, fill out our find my car form, and we’ll send you results as quickly as you want them. We’re happy to help you find the vehicle you want, no matter where it may be. As soon as you come into our showroom, one of our friendly professionals will assist you in finding the right vehicle for your budget and needs. Whether you are in need of a family-friendly vehicle, a car you can take into rough terrain, or a vehicle that can help haul your goods, Lee's Summit Dodge Chrysler Jeep Ram has it. We can work with you on any budget and meet any need you may have. Need financing? Let us help. Fill out our financing application to get a head start, or calculate your payments using our online calculator. Have a car you want to trade in? We’d love to buy your car. You can value your trade now on our website to get an estimate of how much we would purchase it for, or you can talk with us for more information. We will walk you through each step of your car buying process, step-by-step, to ensure you’re satisfied, you understand every little detail, and all of your expectations are met and exceeded. We love building long-term relationships with our customers. We know how important it is for you to ensure that you make such a big purchase with people you know and trust. Our customers come from all over Kansas City to get a vehicle that they know will last for a long time, and they come back to us for other family members’ cars or refer us to friends and family. Whether you are from Independence, Overland Park, Olathe, Kansas City, Grandview, Raytown or another area in the Kansas City metro, we are here to take care of your car buying needs. It’s our goal to be your preferred provider of cars, trucks, SUVs and car services in the Midwest. We also have a state-of-the-art auto repair center with highly qualified and trained technicians that can make any repairs to your car, truck or SUV, along with providing any parts you may need. Our auto repair center is open Monday through Saturday for your convenience. Ready to find your new or used vehicle at our Kansas City area Dodge, Chrysler, Jeep and Ram dealership? Come by our dealership today to get started test driving, schedule a test drive, or take a test drive online. Or simply talk to one of our friendly professionals at 855-885-8751 or contact us through our website now. We look forward to hearing from you! Lee's Summit Dodge Chrysler Jeep Ram dealership proudly provides new and used cars to customers in the Kansas City metro area, including Lee’s Summit, Belton, Blue Springs, Grandview, Raytown, Overland Park, Grain Valley, Raymore, Independence and the surrounding areas.